Happy Wednesday! 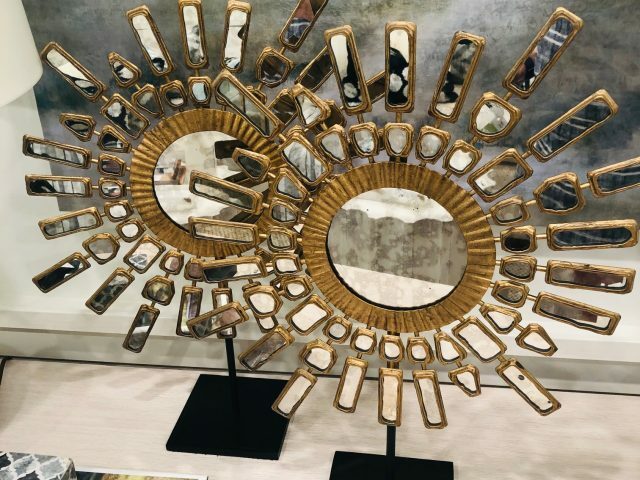 Today we have quick blog on our unique “soleil” mirrors on a stand. They can add interest and sparkle to any space. They look fabulous on a tabletop and can add a lot of punch to a fireplace mantle. Here are some more details about these new accessories. 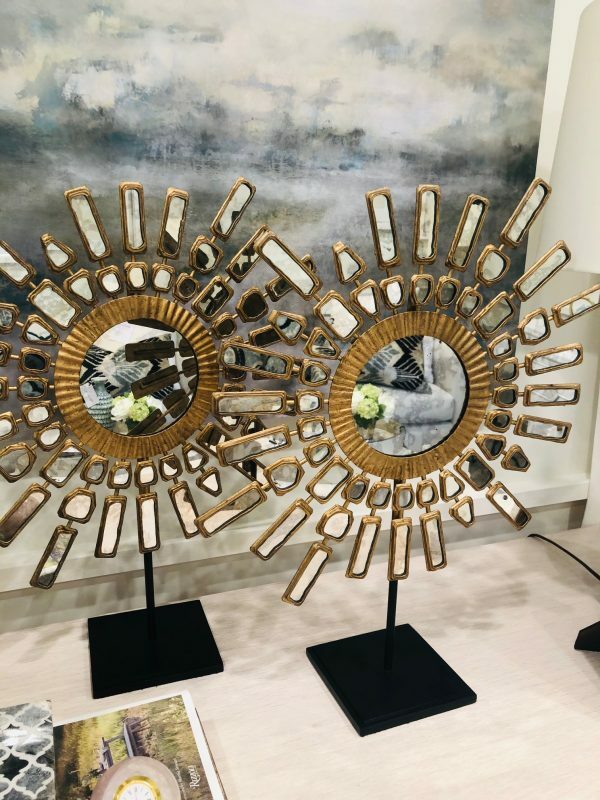 The gilded gold mirrors feature an antique mirror detail atop an iron base. The dimensions are 19″ diam x 22″ H. The iron base is 6″ W. Each mirror sells for $349.99 each. For more information, send us an email at info@heatherscotthome.com or call us at 512-342-6899. As a reminder we will be closed this Friday, April 19th in observance of Good Friday. Be sure to read Friday’s blog as we share some exciting news about our team.